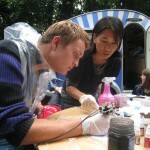 The Courtauld Institute of Art’s young people’s programme is unusual in its function compared to most other galleries. The Courtauld itself has two sides: the Gallery that holds a world-renowned collection spanning 900 years, and The Institute which is the leading centre for the study of art history in the UK. It is this meeting of a gallery and higher education that gives the young people’s programme a specific framework to work within. Known as ‘widening participation’ within the UK higher education sector, this has become one of the key aims of The Courtauld’s new Public Programmes Department since it was established in June 2007. 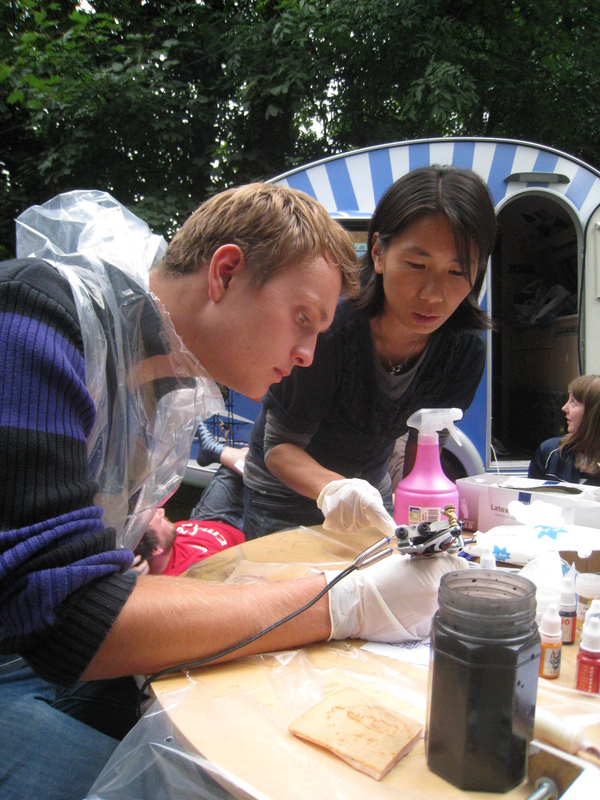 This aim is that not only art and culture should be available to everyone whatever their economic background or personal circumstances, but studying at The Courtauld should be within all young people’s reach. 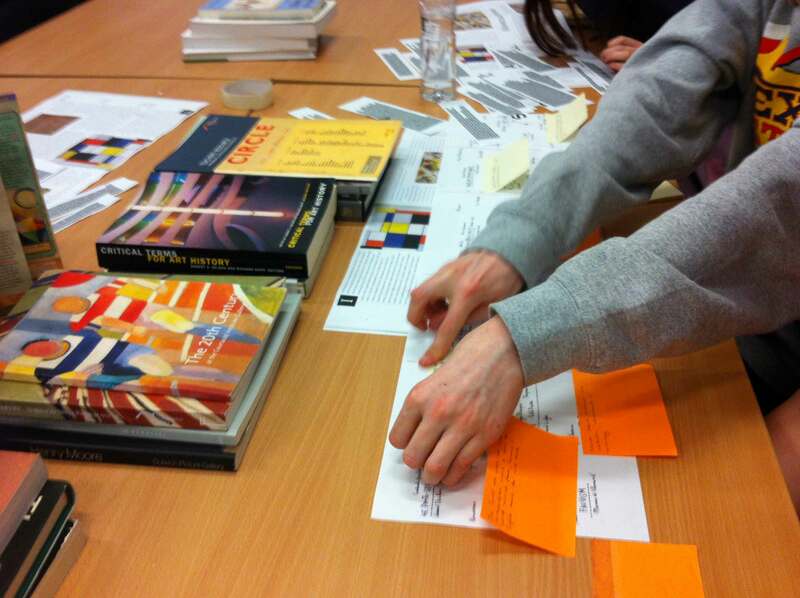 As a small, single-subject university teaching art history, which is mainly absent from state school curricula, The Courtauld Institute of Art faces an unusual challenge in its widening participation programme. 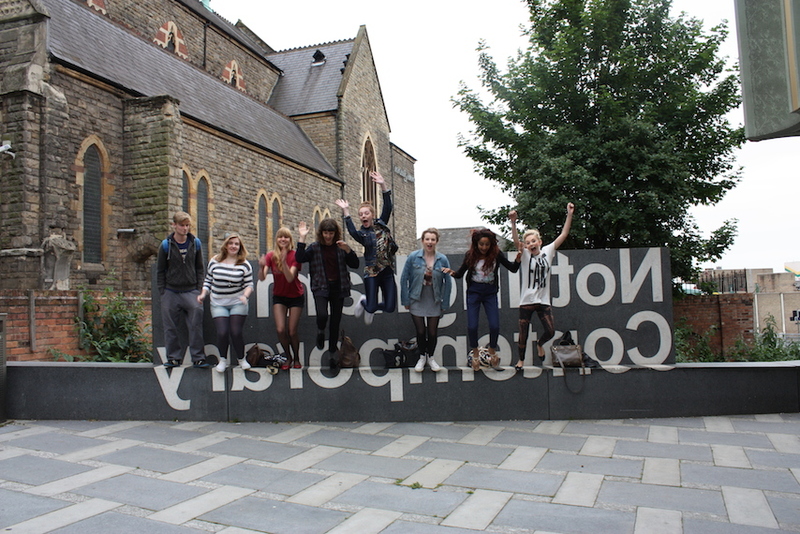 Taking on this challenge we have a number of programmes including Art History Beyond London. 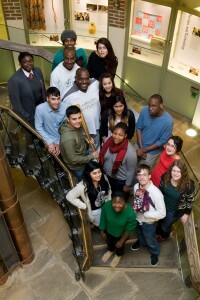 Established in 2012, this programme builds partnerships with schools and FE colleges outside London. The sessions are designed to raise awareness of contemporary art history, at the same time as promoting The Courtauld as a potential university destination. 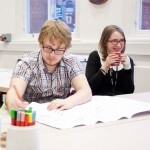 They are held in part at schools and in part at local art galleries including Nottingham Contemporary, Site Gallery, and Manchester Art Gallery. Twenty students attended the pilot of this programme, held in Nottingham, and I am now happy to report that two students from this took up a place on the BA course in September 2013, and another will begin in September 2014. One of these students wanted to talk to you about her experience of the Art History Beyond London programme, so here she is! I first heard about The Courtauld Institute of Art through my History of Art A level course at New College Nottingham after discovering that many of the artworks I was studying were at The Courtauld Gallery. I later experienced the Institute itself through The Courtauld’s outreach programme, Art History Beyond London, a number of workshopsheld at New College Nottingham. The day included learning the methodologies of art history, how to read an image,a curation mini-task and visit to Nottingham Contemporarywhere I was exposed to video artist’s Mika Rottenberg’s video art. Her exploration of capitalism’s cruelties, closed communities and the hardship experienced by labourers in a world of globalisation drew me further into the concepts in modern art. The day was a rare opportunity to speak to a representative from The Courtauld to understand not just the possibilities that The Courtauld Institute can offer but also gave me a stronger grasp of what it could be like to study art history at a higher level in general. 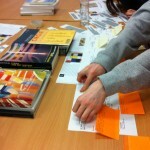 After this, I attended the Insights into Art History workshop at the Courtauld Institute itself. This was a wonderful experience that confirmed my new ambitions. It was great to be able to experience a real university lecture and seminar session. We also received interview and personal statement advice. Ultimately, the partnership between New College Nottingham and The Courtauld gave me the knowledge and confidence that I needed to pursue my current course. I also believe it has not just benefited those of us that have directly applied to The Courtauld or even a history of art degree but to others applying for other various subjects. History of art in itself is a multidisciplinary subject and I believe the study day taught us all valuable skills in critical, verbal and visual analysis amongst others. The leaders were not at all intimidating despite coming from such a prestigious institute; they were encouraging and the support provided on these workshops gave me the confidence I needed to continue on to higher education. Meghan Goodeve, Young People’s Programme Coordinator (job-share with Alice Odin) & Art History Beyond London alumna and current BA student at The Courtauld. 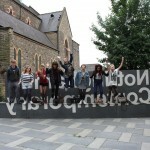 We are a youth group dedicated to the history and culture of Leeds, working with Leeds Museums And Galleries. We have the opportunity to see exhibits before they are open to the public and help to change the museum spaces and they way they look and work. Ellie, JP and James handling and reading about tomb pots. 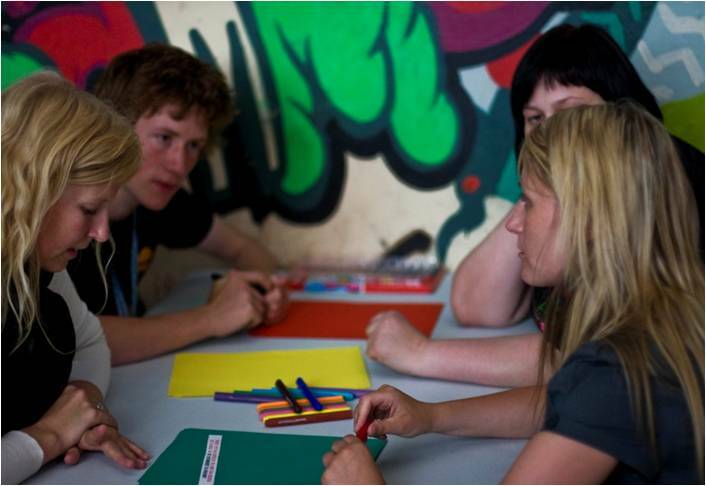 Our members are aged between 13-24 and come from a wide range of backgrounds. We are all volunteers and we meet weekly to discuss our projects such as helping to install the upcoming Voices Of Asia exhibition. We participate in other extra museum events and conferences too and sometimes go on group research trips. Of course, a wide range of refreshments are always provided to aid our contributions to the museum! 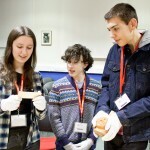 Our role is to work behind the scenes at Leeds City Museum, forming an integral part of the museum. 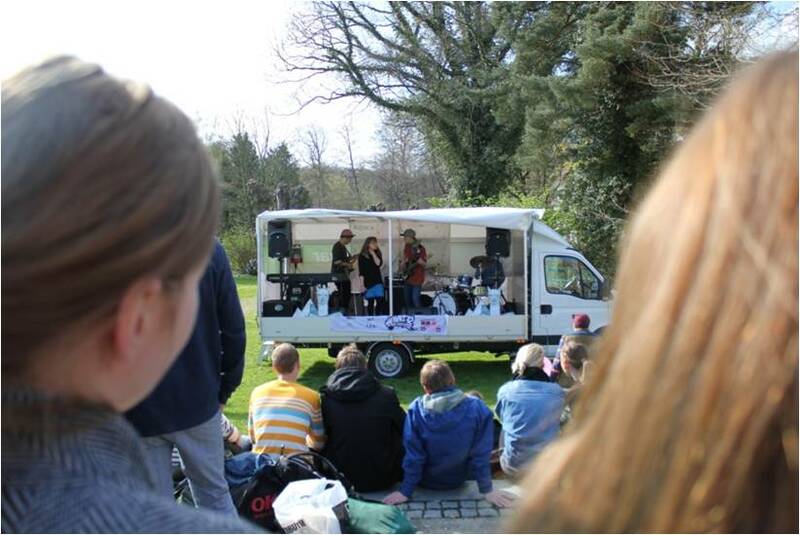 In the past, we produced a temporary exhibition called ‘Treasured! Smuggled? Stolen? Saved?’, which drew more than 60,000 people. 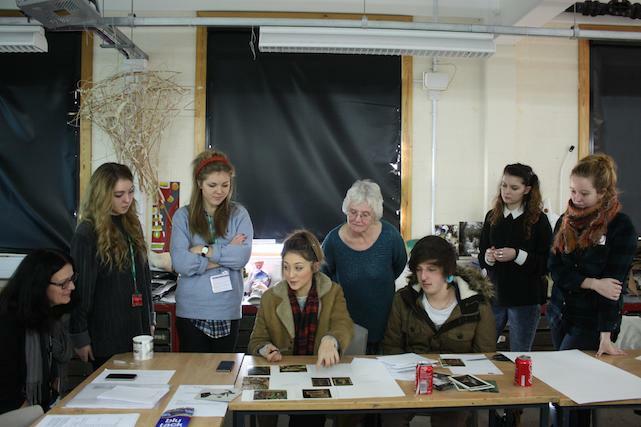 There will hopefully be another entirely youth-curated exhibition in 2016 to mark the centenary of the First World War. We will beginning early work on this project in summer. Connor and Tonicha brainstorming during a group discussion. Recently, a Facebook timeline has been created by our group as part of the centenary commemorations. The timeline has key dates, events and stories related to the First World War in Leeds. We can add to it or people can contribute their own family stories either through us or via their own Facebook account. The main events are added through milestones with symbols to show what theme they are relevant to. The themes include: military, home front, industry, and the role of women. We invite you to see our latest project at www.facebook.com/WW1Leeds. 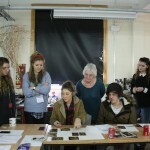 Furthermore, we organised and delivered some Facebook workshops, these were designed to help people with First World War research and stories to place them on our timeline. This was a great way of getting the community stories to the world! We hope you like our Facebook timeline and please feel free to post/like/share. The Preservative Party welcomes you to send any questions to our Facebook page or to WW1.timeline@leeds.gov.uk. Preservative Party members helping to design the jewellery display for the upcoming Voices of Asia gallery at Leeds City Museum. 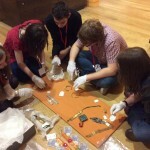 By being part of the Preservative Party, we gain valuable experience of teamwork and of how museums work. The people who originally worked on the Facebook timeline also received a Leeds Youth Award, which was presented to them by Councillor Yeadon from Leeds City Council. We enjoy coming to meetings because it is a chance to do something new and different and to meet new people and friends. And of course to drink tea and eat cake and biscuits! If you would like to find out more about the Preservative Party or are interested in joining the group, please email us at preservativeparty@gmail.com or you can tweet us @presparty. We’d love to hear from you! 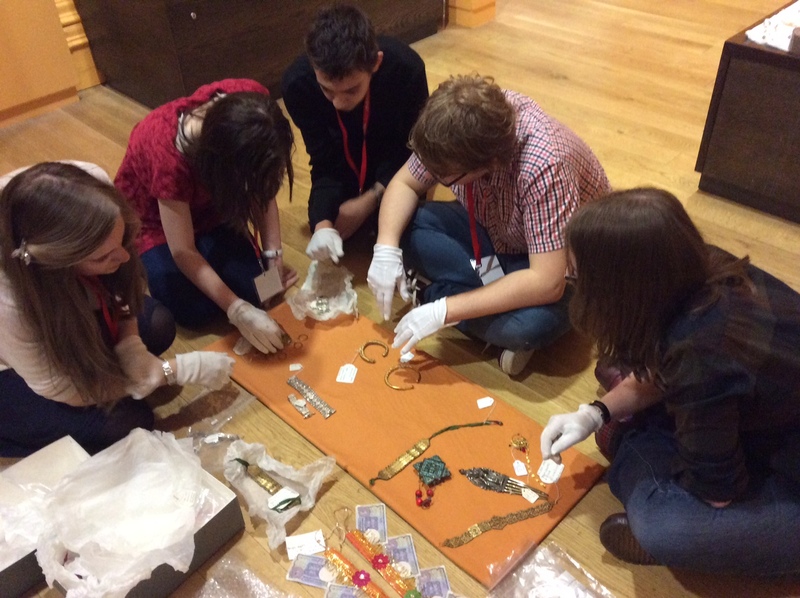 Ever wondered what it was like to be part of a Youth Group in a museum? Here Orlane Doumbe describes her experience. Thanks for sharing Orlane! I joined the Geffrye YAP because I love to help being a part of something big. 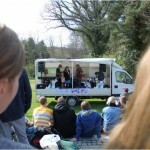 I love getting involved in activities and helping to organize events is really just a big bonus. I’ve only just joined in September and have only attended one YAP meeting – the atmosphere was so open and friendly, it felt like I’m already a part of the family! In this one meeting alone, I’ve signed up to participate in a half-term Digital Media workshop at the Wallace Collection with the Geffrye and Chocolate Films. Also, I will be able to help with a Chocolate Films upcoming project about London in the eyes of a Londoner. These are just a few of the many things I’ve done in two hours! In a typical Geffrye YAP meeting, we all eat first. There’s plenty of refreshments for all of us which is very useful for me especially as I go there directly from school! After this, we’re given an agenda and during the meeting we go through as much as we can. We also take votes, sometimes we could watch things in relation to our topic(s) and most of all this is done in a relaxed environment. We also input our ideas in different forms. We can verbally communicate to each other or sometimes we can also write it on a post-it note and read them all out. My favourite thing I’ve gotten out of the Geffrye YAP so far is being able to work with a Digital Media Company for 3 and a half days. I’m so thrilled with this opportunity because I’ve always wanted to learn how to use Media from a professional viewpoint rather than the average Keek video or Instagram picture. If this is what you experience after a single meeting alone, I can’t wait to see what I will do in a year’s time. I think other young people should join museum youth panels because it’s a really great way to balance literally everything. 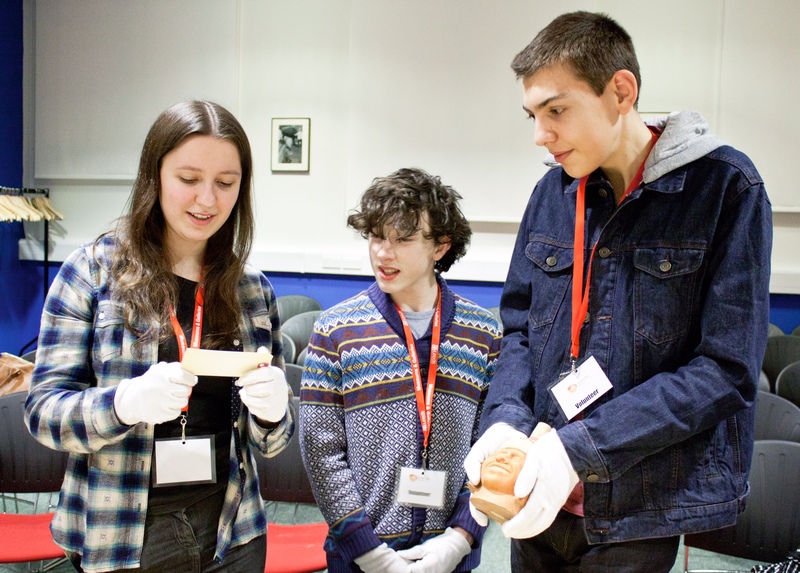 In museum youth panels you learn so much, you learn about collaboration and teamwork, debating and voting. All these qualities build up your self-confidence which is a key skill especially today. We also learn marketing when doing events, this helps with the financial aspect of it all; as you learn how to organise money in the best way possible. This is shown when you’re given a project and you’re given a budget to spend on the project. Not only this, it’s a great CV enhancement as it shows that you’re not just someone with their heads in books 24/7 but you’re an active citizen in your local community. I think young people will get an open mind when visiting museums because it makes you more aware of the past. It personally motivates me because I think to myself if these people who are dead made such a mark on the earth that even their belongings such as sofas, sculptures etc. are still on display in our generation. I want to be a part of something like that when I’m older, and would then be able to motivate other young people who are looking at the works we’ve done. So visiting museums will enlighten or dishearten your view on history, it will make a difference to your perception of life and it also motivates you to make history yourself. 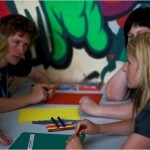 How do we involve young people in our program? In The Main Library in Aarhus, Denmark we work with the questions above. We want to turn the library into a relevant and interesting partner in the lives of young people (between 14 and 25 years old). We want to be a creator of opportunities and an initiator of conversations. To do that we realized, that we needed to hire young people (mindspotters). Our intention is to involve young people in the whole process from the idea-generating over the planning to the execution. And we want the library to be the producer and the young ones to be the innovators and performers. You can read more about Mindspot at http://www.aakb.dk/files/file_attachments/2012-07-10_1356/mindspot_rapport_eng_web.pdf or www.mindspot.dk.